Because he did not have a qualified driver with him a 25-year-old man was not insured while driving in Lurgan on May 22 this year. Pawel Kaminski, Mourne Road, Lurgan, was fined £200 for the offence last Wednesday at Craigavon Magistrates Court. He was also banned from driving for two months and ordered to pay a £15 offender’s levy. For not displaying ‘L’ plates he was fined £25 and a £100 fine was imposed for driving unaccompanied. Concurrent two month driving bans were also imposed. 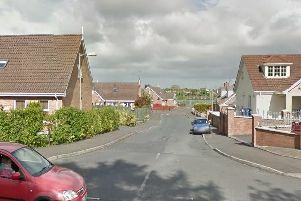 The court heard that a police mobile patrol in Union Street in Lurgan saw a car turn into the street from Millennium Way and cross the white line. They stopped the vehicle in Church Place and the defendant produced a provisional licence. Because he was not accompanied by a qualified driver he was not covered by insurance. A barrister representing the defendant said his sister owned the vehicle and she no longer had it. She added the insurance policy was negated because he was not accompanied by another qualified adult.